All basic features of ProInvestor are available in new, improved way. It has become easier for the trader to create and close stock and master accounts, manage them, invest and transfer funds. The main page of the trader’s office displays charts showing the most profitable ProInvestor accounts. This attracts the attention of the trader and motivates him to invest. If the trader is already working with ProInvestor, then on the main page there are graphs showing the profitability of his investor accounts. On the charts there is a button "Deposit", with which you can quickly add funds to the account. A table with brief information on stock and master accounts has been added to the ProInvestor service. It also displays profit charts. This allows you to visually compare the indicators of accounts and select an option for investment. You can invest in a stock or master account directly in the table without having to go over tabs. On the page of each account a trader sees detailed charts for different periods: for a week, month, quarter, half a year, year. Furthermore, on the page there is information about the number of investors, the amount of investment and their result. 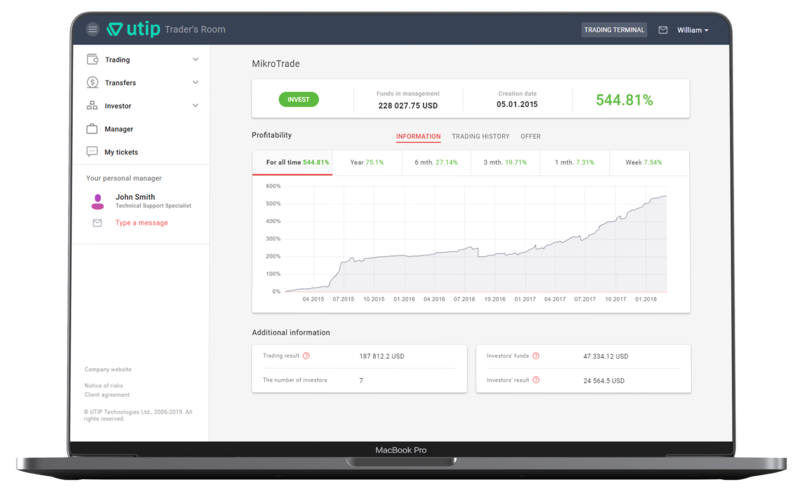 In the updated module there is no demo version of the master accounts, so the trader can only invest in a real account and get real profit. 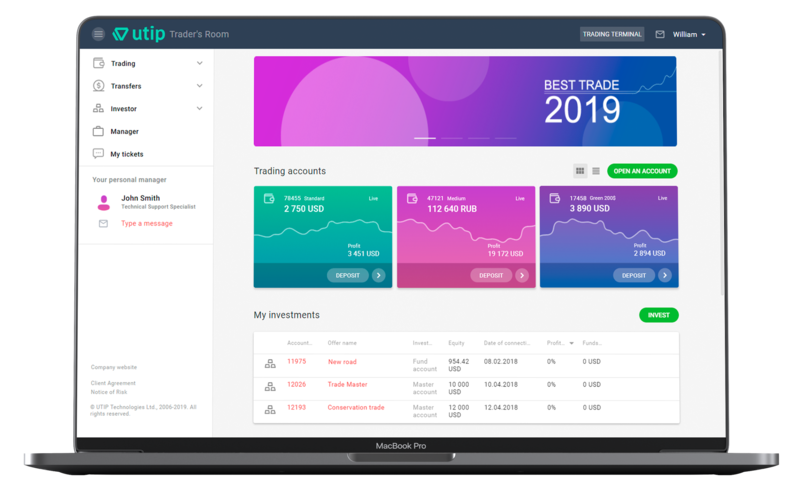 For more information about the new features of Trader's Room 2.3.0.0, please contact our sales department.